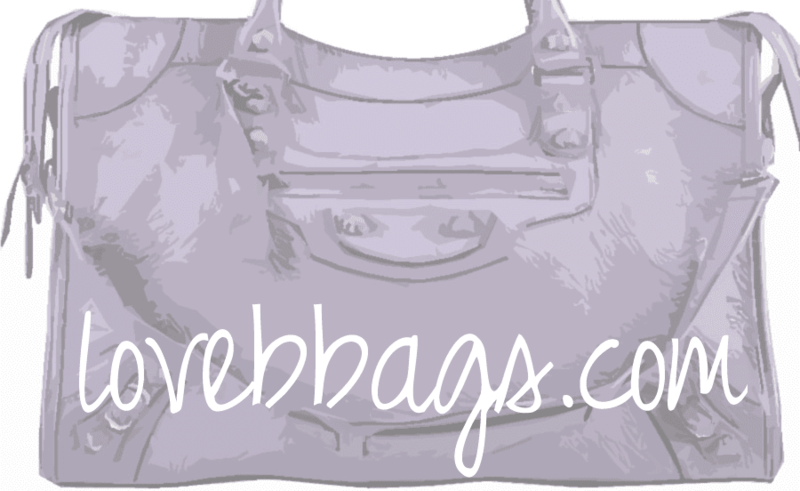 LoveBBags.com was started in November 2009 for those who love the luxury brand Balenciaga. It strives to create interesting posts on the latest release of Balenciaga bags and accessories, style discussions, product reviews, coverage on celebrities wearing the brand, and personal photos. "J"'s interest in Balenciaga sparked in early 2006 when she discovered the brand on a popular fashion forum. What was just a hobby has turned into a fun obsession with this label. Wanting to share her knowledge on this brand, she started this blog in hopes to help those who are looking for information on bbags. J also has a passion for clothing and shoes. She enjoys reading other fashion blogs/websites and spending time with her son. Why should you choose Balenciaga as your handbag choice? The leather feels amazing to the touch. Words that come to mind are "squishy, smooshy, soft, and fluffy". Not to mention the distressing on each bag will make every piece a unique one. The iconic slouch each bag will possess. The more that they are used the more "broken in" they will become giving it their signature vintage look. The plethora of colors. Every season, there will be many beautiful shades to choose from- think of a kid in a candy shop! The thrill of the hunt. There are many, many styles and colors to choose from. No two stores have the same stock. Be prepared to visit/call/email a lot of stores and scope out those resale sites to find the one. *By clicking or purchasing through the links may yield a small commission for the blog.